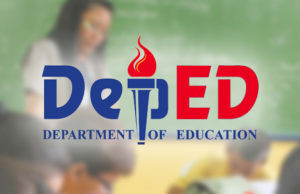 Good news to public school teachers and other government employees! 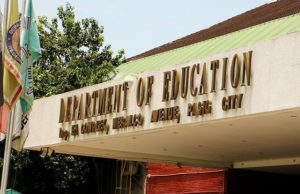 The Department of Budget and Management (DBM) announced that the mid-year bonus that is equivalent to one-month basic salary pay would take effect this May 15. According to Budget Circular no. 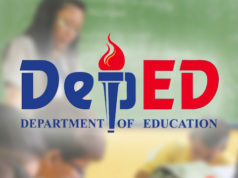 2017-2, approximately Php36.2 billion was allocated to cover more than 1.5 million employees from all branches of government including public school teachers, regardless if they are elected or regular. 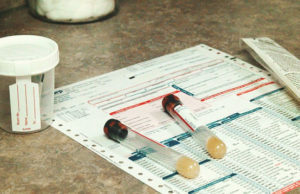 Uniformed personnel such as the police and military, and some contractually hired employees will also get a bonus. According to Budget Secretary Benjamin Diokno, the mid-year bonus will be non-taxable as long as it does not exceed Php90,000. 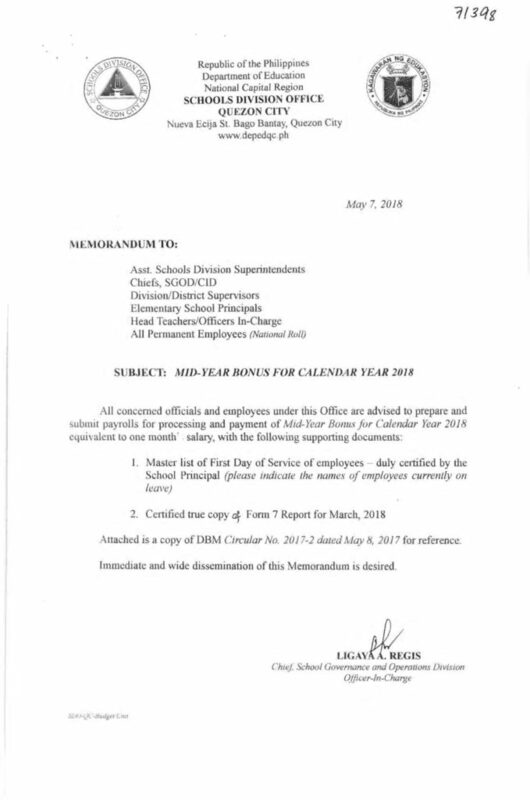 In line with the releasing of this year’s mid year bonus, Chief of School Governance and Operations Division Ligaya A. Regis released a memorandum to all concerned officials and employees to prepare and submit payrolls in a timely manner in order to process and release the payment to teachers. Ligaya reminded concerned personnel to ready the Master List of First Day of Service of Employees, certified by the School Principal and Certified and True Copy of Form 7 Report for March 2018. Meanwhile, government personnel from agencies, including Government Owned and Controlled Coporations (GOCCs) are exempted from this bonus. Laborers who are hired through job contracts for a specific project or whose payments are output-based, consultants, student workers and apprentices will not be receiving the mid-year bonuses as stated on the DBM circular. 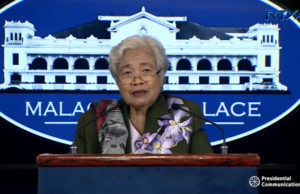 The one-month basic pay that will be received by qualified government employees shall be based on the monthly regular salary for regular and contractual civilian personnel, the total daily wages for the twenty-two working days a month for casual personnel, the monthly base pay for the military and uniformed personnel, and the monthly honoraria for non-salaried barangay officials and employees.